Hoatzin are found in South America in the Amazon. Hoatzin eat leaves and fruit. Hoatzin live in trees and branches above rivers and marshy areas. 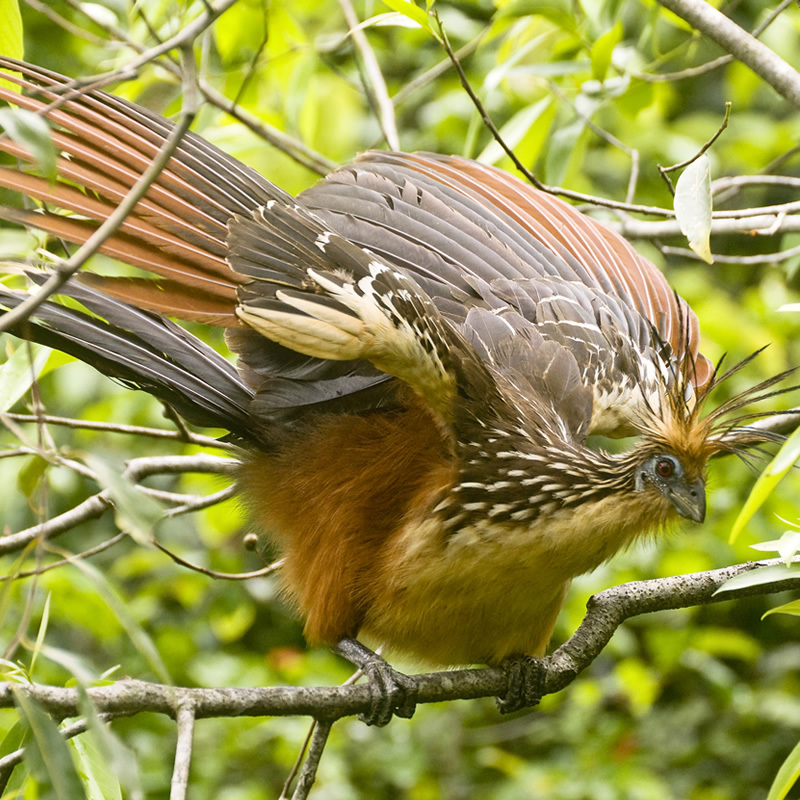 Adult Hoatzin are approximately 1.5 to 2.5 feet. Hoatzin lay approximately 2-3 eggs at a time.